The Cigarettes and other Tobacco Products (Packaging and Labelling) Second Amendment Rules were published in India in April 2018. This regulation establishes the new round of pictorial health warnings to be printed in tobacco products packages, and came into force on 1 September 2018, ensuring compliance with the rotation mandated by Article 11 of the WHO FCTC and its implementation guidelines. The Government selected two sets of health warnings, containing two different messages and images with a validity of twelve months each, to be rotated until 1 September 2020. 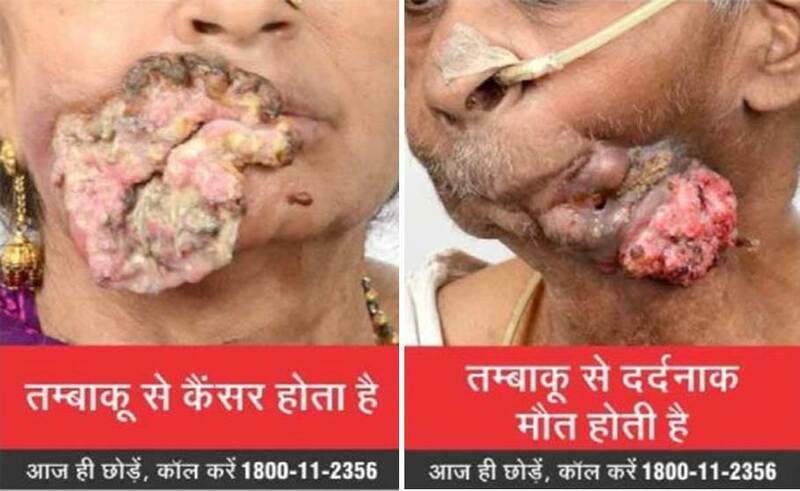 The combined pictorial and textual health warning covers 85% of the front and back of the packages of all tobacco products manufactured, imported or packaged in India. The Amendment also mandates the inclusion of a quitline number as part of the health warning, for which the resolution and intensity of color are also prescribed by the rules. This measure is important in helping tobacco users to change their behavior.